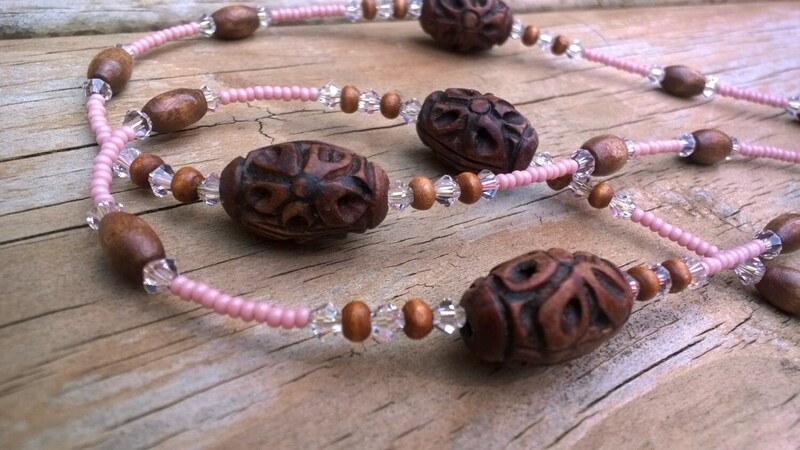 A light and dainty, tiny pale pink beaded necklace, separated by genuine crystals and wood carved beads. 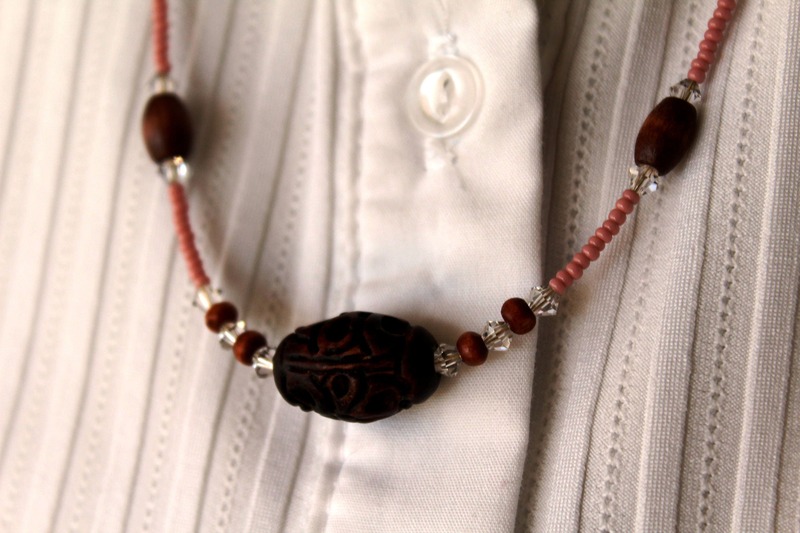 Approximately 33 inches long, and oh so pretty...like pink and brown always are together! 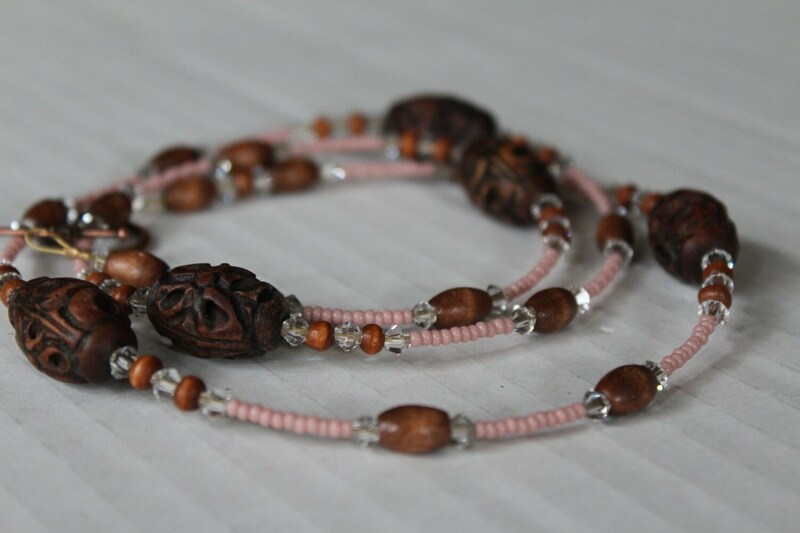 Please note: The larger carved wood beads are 19x12mm. They provide great depth and detail and have a floral pattern. 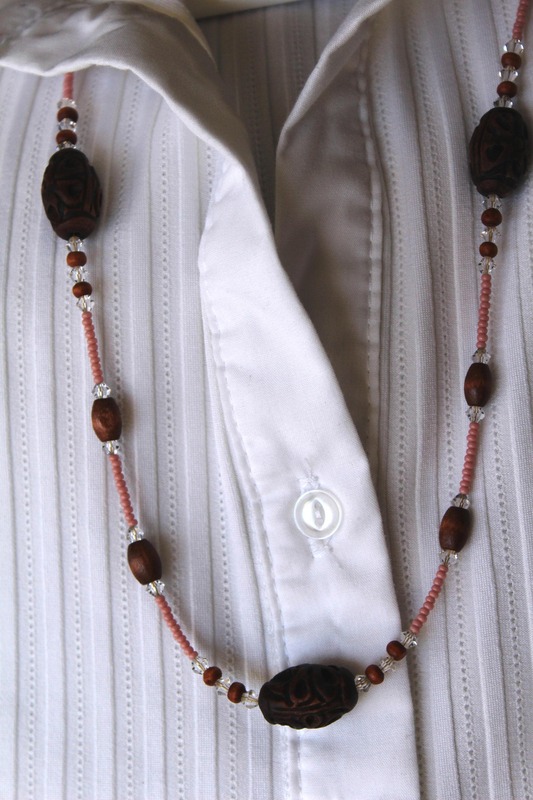 The last photo above shows the clasp used in this necklace. 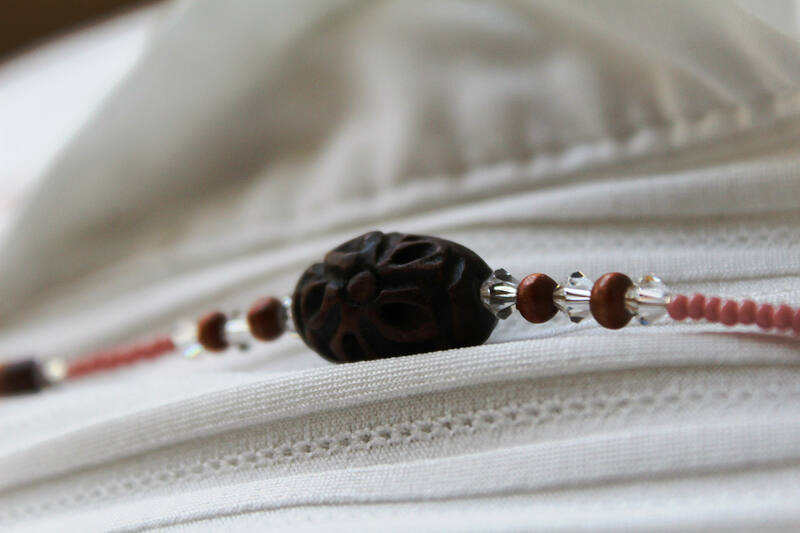 It is an "easy to put on" copper-plated toggle clasp with flower.